One often hears someone Jewish saying, “It’s a mitzvah!” usually referring to a charitable, beneficial act performed by another person. However, the Hebrew word mitzvah does not mean “a good deed” in that sense. Mitzvah literally means “commandment.” In fact, Jewish tradition understands exactly 613 mitzvot (plural of mitzvah) to be derived from the Hebrew Bible. The 613 are listed in Maimonides‘ Sefer Hamitzvot (Book of the Commandments), divided into “positive” and “negative” commandments. To read them in Hebrew, click here. To read them in English, click here. It is not simply a “good deed,” for example, to refrain from murdering or stealing. And similarly, the mitzvot that deal with feeding the poor, acting kindly to the stranger, or observing the Sabbath are much more significant in the Jewish tradition than mere divine suggestions on how to be good. Mitzvot are commandments, traditionally understood to come from God and to be intended for the Jewish people to observe. Behold, I have set before you the blessing [of observing the commandments] and the curse [the potential punishment for failing to observe the mitzvot] — therefore, choose life! It seems that even God recognized that the Jews had a choice in the matter — and was clearly hinting at the right choice. But why should the biblical Israelites have bothered to accept and observe the mitzvot? After God rescued the Jewish people from slavery in Egypt, God expected that the Israelites would in turn observe the mitzvot in eternal, loving gratitude for this redemption. Yet, gratitude only goes so far, especially when it comes to observing such commandments as keeping kosher (dietary laws) or Shabbat (resting and not working on the Sabbath day). For the past 3,000 or so years, every generation of Jews, rabbis, and scholars, has analyzed and argued about exactly why the Jewish people should continue to observe the mitzvot. And it is not just 613 mitzvot that we are talking about! Even after the historical era of the Hebrew Bible, generations of rabbis continued to update, adapt, and generate new, more modern commandments — all understood to be derived from the original 613 in the Torah. Today, Jews no longer practice animal sacrifices or give agricultural gifts to a hereditary class of priests, yet there are modern mitzvot (often the subject of ideological controversy) that deal with questions relating to organ donation, the kashrut (fitness for eating) of organic fruits and vegetables, and interfaith relations. Mitzvot deal with every aspect of how one should go about leading a Jewish life. The Torah generally explains that the Jewish people should observe the mitzvot simply because God commanded us to do so, or because of the potential negative consequences that would result from non-compliance. Other thinkers have endeavored to prove that the mitzvot are all completely rational, logical actions which any moral and ethical people would welcome. Still others claim that the commandments actually improve us as human beings, refining us as upright and just people, or that doing God’s commandments actually has a cosmic effect upon the spiritual fabric of all creation. And some thinkers even reject the importance of asking this question entirely, arguing that the only legitimate reason for the performance of mitzvot is in order to obey God’s commandments and fulfill our part in the covenant between God and the Jewish people. 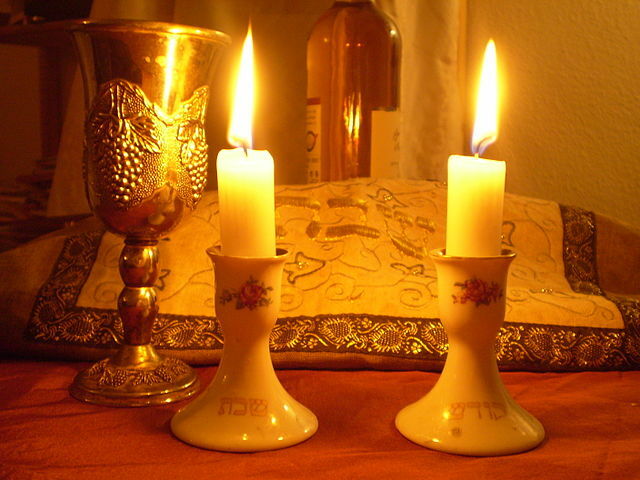 Some people observe the mitzvot because it helps them to identify and feel a part of the larger Jewish community, others because they believe themselves to be commanded to do so, and still others simply because it is pleasurable, a joy, to celebrate the Jewish holidays and home rituals. But whatever reason motivates someone to observe the commandments is, in Jewish tradition, less important than the actual performing of the mitzvot themselves: One might say that the “deed” is more important than the “creed.” That is, how we behave in this world, towards our fellow human beings and the world we live in, is ultimately of more importance than what we may believe. In the final analysis, the mitzvot are a uniquely Jewish approach to living a holy life in this world.